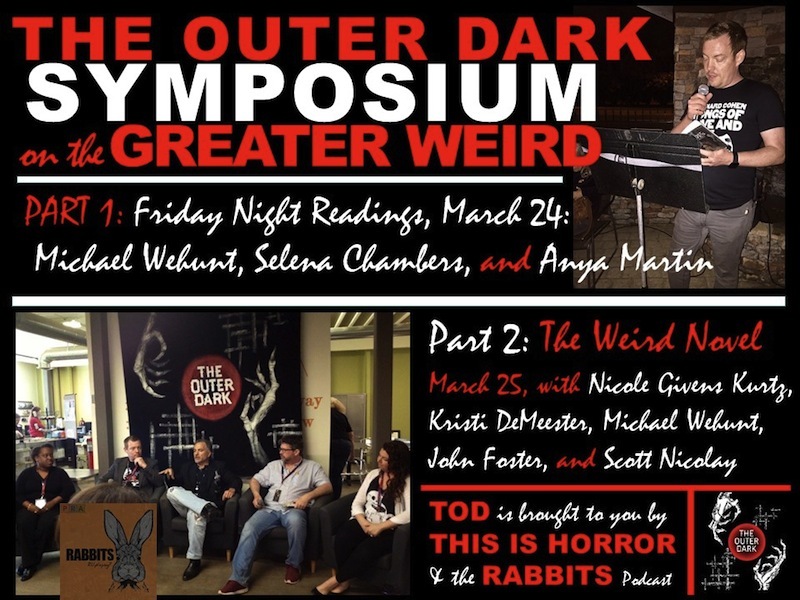 In this podcast The Outer Dark presents the first installment of The Outer Dark Symposium, including readings by Selena Chambers, Kristi DeMeester, Anya Martin, and Michael Wehunt, as well as the first panel on “The Weird Novel.” These segments were recorded live on Friday March 24 and Saturday March 25. The broadcast also includes an introductory interview with Selena Chambers. Find out more and listen here.